April 2015 – Missing in Action! To be absolutely honest, it’s about the normal state of busy (which translates to quite well occupied indeed), but the book blog has indeed slipped into the neglected category on the want-to-do list, and that makes me most unhappy, because I do truly like rambling on about what obscure gems (or otherwise) I’ve just dragged home from my latest book-hunting excursion. 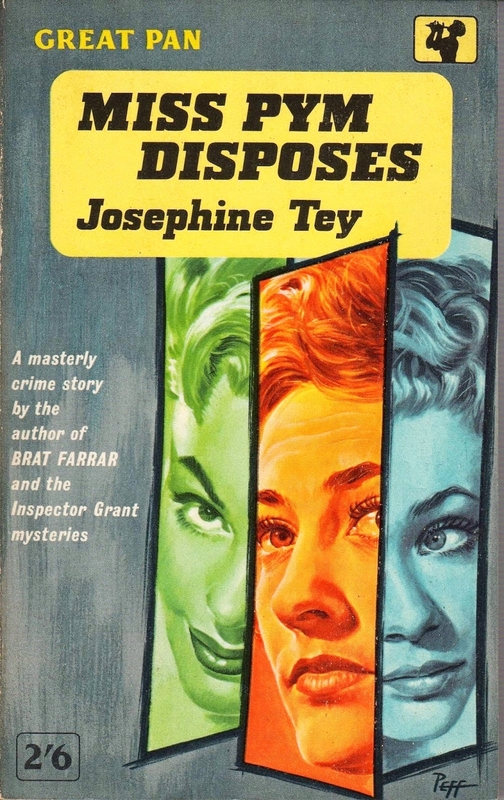 First off, the book in hand at present, Miss Pym Disposes by Josephine Tey (1946). My ?? ?th time reading, as Tey is a fixture on the favourites shelf. Miss Pym, amateur psychologist and unexpectedly bestselling author, visits an old school friend’s “physical training” college, and finds herself observing much more than mere gymnastics. A quietly humorous mystery story which works just as well as a “proper” novel, as do all of Tey’s too-few puzzle tales. The details are wonderful. I haven’t yet properly reviewed Miss Pym Disposes, but I have previously said a few things about Pym’s first novel, The Man in the Queue (1929), and her later “double life” suspense novel, To Love and Be Wise (1950). As with everything by Josephine Tey, highly recommended. Late Golden Age mystery fiction at its very best. Mrs. Garth is the head of the last of the great private banks, Garth, Garth and Trelawnes. She has a genius for finance, and is also a great personage in the social world. Madame Vampire, the director of Gordon’s Limited, the notorious moneylenders, is also a power; but not for good. No one suspects the truth, that Mrs. Garth and Madame Vampire are one and the same woman. Sir Melmouth Craven, of the sinister Sternberg Syndicate, desires to marry Mrs. Garth’s beautiful daughter, Margaret. He is humiliated, and determines to be revenged upon the mother versus the daughter. The story is full of thrilling situations and exciting incidents. Now for something rather different. 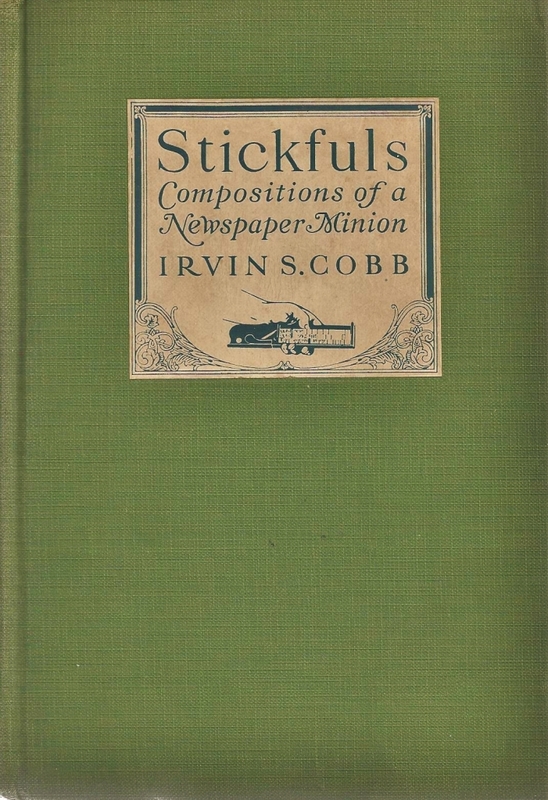 Stickfuls: Compositions of a Newspaper Minion by Irvin S. Cobb (1923). (Later editions bear the title Myself – To Date.) This was a very enjoyable read, being the autobiographical account of the writer’s youth and early years making his way in journalism. Wryly humorous, self-revealingly honest, sometimes poignant, and always opinionated, this is a quietly glowing example of what memoir can be. I had no idea who Irvin S. Cobb was when I picked this book up last year in one of Vancouver’s overflowing used and rare book emporiums, Lawrence Books on the corner of Dunbar and West 41st (situated conveniently en route between the UBC Botanical Garden and Van Dusen Botanical Garden – fellow bookish horts take note), but a few moments browsing between its green linen covers convinced me to add it to my armful of vintage treasures. Now that I have made Mr. Cobb’s acquaintance, I find myself inclined to keep an eye open for some of his other writings, which I am sure will be very readable, if Stickfuls is a typical sample of this man’s smooth and clean prose. Irvin Shrewsbury Cobb (June 23, 1876 – March 11, 1944) was an American author, humorist, editor and columnist from Paducah, Kentucky who relocated to New York during 1904, living there for the remainder of his life. He wrote for the New York World, Joseph Pulitzer’s newspaper, as the highest paid staff reporter in the United States. Cobb also wrote more than 60 books and 300 short stories. Some of his works were adapted for silent movies. 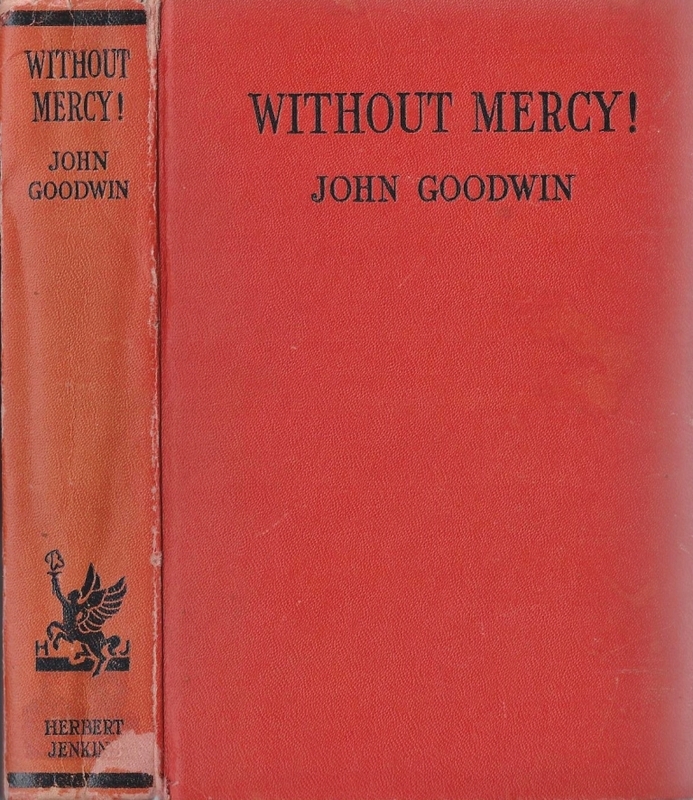 Several of his Judge Priest short stories were adapted for two feature films during the 1930s directed by John Ford. That’s all for this morning, but now that I’ve broken the long silence I hope to get back into the habit of posting a bit more frequently. Off to dig a few more post holes on the horribly steep hillside – a rather daunting but sorely overdue project, replacing a very tired split-rail Russell fence with something rather more sheep- and farm-dog-proof, to keep the critters properly confined.